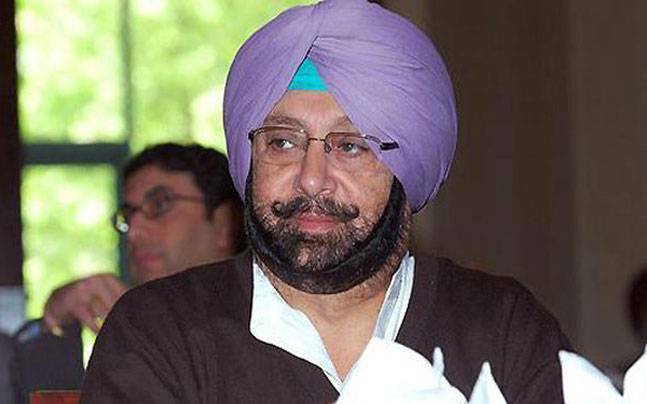 Chandigarh, Dec 12: Accusing the Shiromani Akali Dal of indulging in street politics at the cost of public welfare, Punjab Chief Minister Amarinder Singh on Monday called upon all political parties to resolve not to block highways but to find alternate ways to protest. Amarinder Singh, who had on Sunday tweeted his anger at the way the Akali Dal leaders, led by its President Sukhbir Singh Badal, had laid siege to the Jalandhar-Amritsar stretch of National Highway-I, said that any protest that causes inconvenience to the common people cannot be termed democratic. He said that blocking the National Highway was a crime under the law. "My government will not allow law and order to break down, nor will it permit anyone to hold the common people to ransom," Amarinder Singh said and warned that anyone doing so would have to face the consequences. "Lakhs of people suffered as a result of the Akali dharnas, which were nothing but sheer theatrics," the Chief Minister said. Military convoys could not move and essential supplies could not reach the soldiers, standing guard on the borders, in time due to this ill-thought and abhorrent decision of the Akalis to sit on dharnas over complete non-issues, he said. "National Highways are of strategic military importance, besides being lifelines for the civilians, and nothing can justify blocking of these vital links," he added. He pointed out that the Akalis did not even take cognisance of the problems the road blockade would cause to pilgrims journeying to the Golden Temple in Amritsar even though they claim to be "guardians" of the Sikh religion. He said the Akali Dal protest was a desperate political move. "They are going the Aam Aadmi Party way with their dramas," he added.